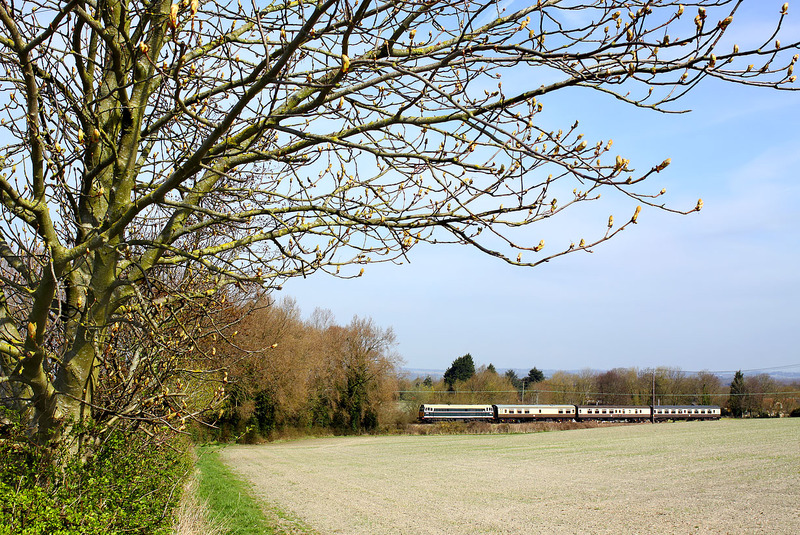 After one of the coldest and latest springs on record, the sycamore buds are finally starting to open, as D5581 passes Bledlow on 21 April 2013 with the 2C04 10:16 Thame Junction to Chinnor service, during the Chinnor & Princes Risborough Railway's Diesel Gala. As the sun would not yet be on the front of a southbound train at this time of day at this location, I opted for a more unconventional and distant viewpoint. Searching around for something to add foreground interest, I noticed this tree, and although it meant standing on a stepladder almost in the middle of the hedge in order to get just the right viewpoint, I think it was worth the effort.